As you know, we write only about those things that we have seen with our own eyes. Therefore, we personally visit Slovenian educational institutions, such as colleges, technical schools and universities. 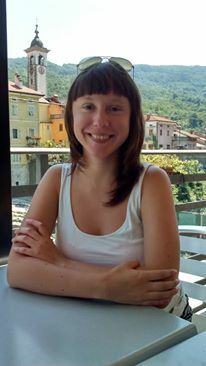 During one of such visits, (it was held at the University of Nova Gorica) we were lucky enough to meet with Nadezhda. 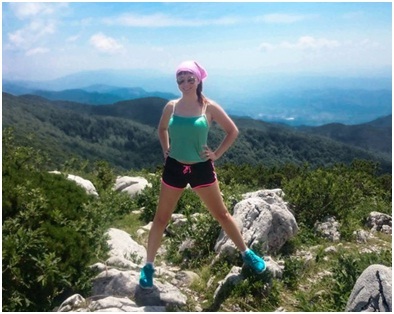 She moved to Ajdovščina (a town in Slovenia) from Kiev. 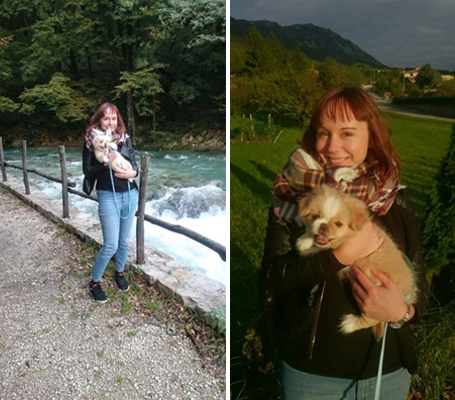 We asked Nadezhda to share her experience in moving to Slovenia. Nadezhda: I graduated from the Faculty of Physics of the Taras Shevchenko National University of Kyiv. I have a master’s degree. Then for a few years, I worked out of my specialization field. At that time, my friend was already studying in Slovenia. She helped me to find a job. The fact is that there is an opportunity to study physics and at the same time to receive a good payment (for reference, a postgraduate salary in Ukraine is about 2 000 UAH). I did not pass any entrance examinations. I was interviewed on Skype. I entered the Faculty of Postgraduate Education in the University of Nova Gorica, the Laboratory of Organic Matter Physics. My friend recommended this university to me, as she was previously familiar with my future mentor. She also knew that he was a high-level expert. I made a decision easily since it was an excellent opportunity to develop in every sense — to live in another country, to gain international experience in my specialization field, to work with new equipment (which we could only see as pictures in the Wikipedia) as well as to have prospects for further career development. Above all is an opportunity to work in my specialization field. That is 6 years of studying at the Faculty of Physics were not in vain. The first day was excellent! Everyone was very happy to see me. I arrived in the middle of the academic year because I spent much time for receiving visa. The secretary personally accompanied me to the Upravna Enota (a local governing body — editor’s note), to assist in preparing documents. My supervisor also personally helped me get a local identification code and drove me to the bank for opening an account. We also went to dinner together, which I really enjoyed a lot. That was a live meeting, during which we discussed the future work plan. Later he introduced me to all the staff and gave a tour around the Faculty. The first day was sunny and bright! This is actually typical for Ajdovščina because it is located in the Primorska region. This is the Hubei River in Ajdovščina after rains. Now I’m in the second year of my postgraduate study. Many examinations and excitements are in the past, however, a lot of them are awaiting for me in the future, since the exams should be passed here during the first two years. Besides, I have already held my public seminar in English. I study in English, but if you are interested in the Bachelor’s programs — they are in Slovenian. I speak English. I understand Slovenian, but I cannot speak it yet. My adaptation to the local environment passed perfectly. 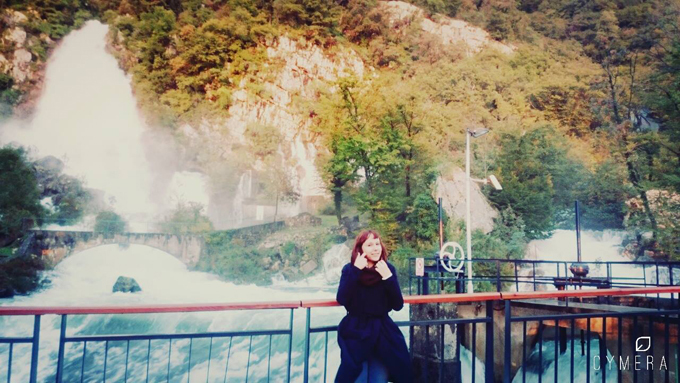 I am in love with the beauty of Slovenia and its nature. People are not very different from us, and the traditions are very similar, so I feel like at home. This is my 7th months here and I have just started missing my relatives and my home too much. I plan to celebrate the New Year in Ukraine. The country is great. It looks like a big village. You live in the nature. You relax in the nature. Fresh air, beautiful scenery: mountains, rivers and the sea. 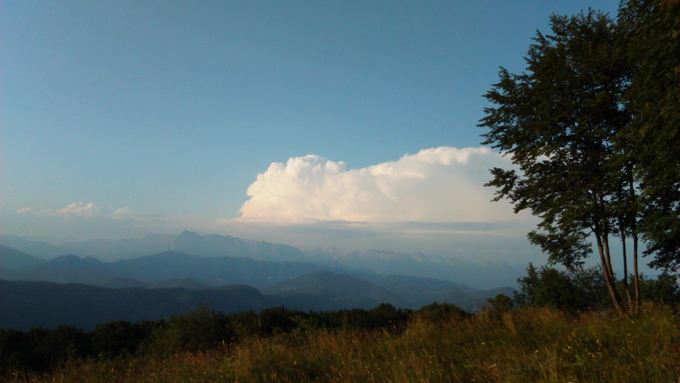 Slovenia is free from megalopolis noise. Therefor it will not suite those people who used to the fuss of big cities and needs it. I personally do not need noise and fuss. I really like the fact that it takes me only 15 minutes to walk to my working place. I call PhD as my working place because I am not studying, but working on my project (thesis). Besides, I walk the same distance to shops, bank, post office, etc. 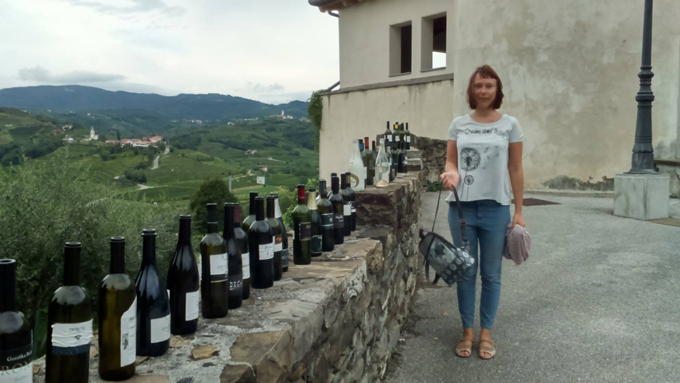 I like to travel around Slovenia and neighbouring countries, such as Italy and Croatia. I was in many places here, and thought that I had seen everything and nothing interesting was left. Afterwards, I took a tour to Škocjanske jame (a cave in Slovenia — translator’s note) and bought a Russian guide to Slovenia there. As soon as I opened it, I was deeply impressed. There are so many places that I have not yet seen in this country! Now I have many destinations for my weekend trips for the coming years. This is an amazing opportunity to be repeatedly surprised with the beauty and uniqueness of Slovenia. I wish you the same. You can buy the same guide here in a bookstore. Besides, the Slovenes honour ancient traditions. That is, you can easily take part in wedding festivities or Osmica (a custom that remained in the region since the days of the Habsburgs — translator’s note). This is a real paradise for hearty eaters. Food here is incredibly tasty and the portions are large. You have to study hard in Slovenia. It is impossible to cheat off here, and even if you manage to do so, this will hardly help you. You are one-on-one with a professor during an oral exam. You have no time to get ready. Just a question — an answer. That is, if you do not know the answer, you will fail. Instructors do not require any supernatural knowledge, but you need to know the subject well. You can have several attempts to pass each exam. I really like this system, because it provides a better chance to remember at least something. Nobody needs three pages of formulas written off from your neighbour if you have zero knowledge. I would suggest cancelling all written examinations and following this system. Let students know less, but at least they will know something. The published photographs are the property of the interviewed person.